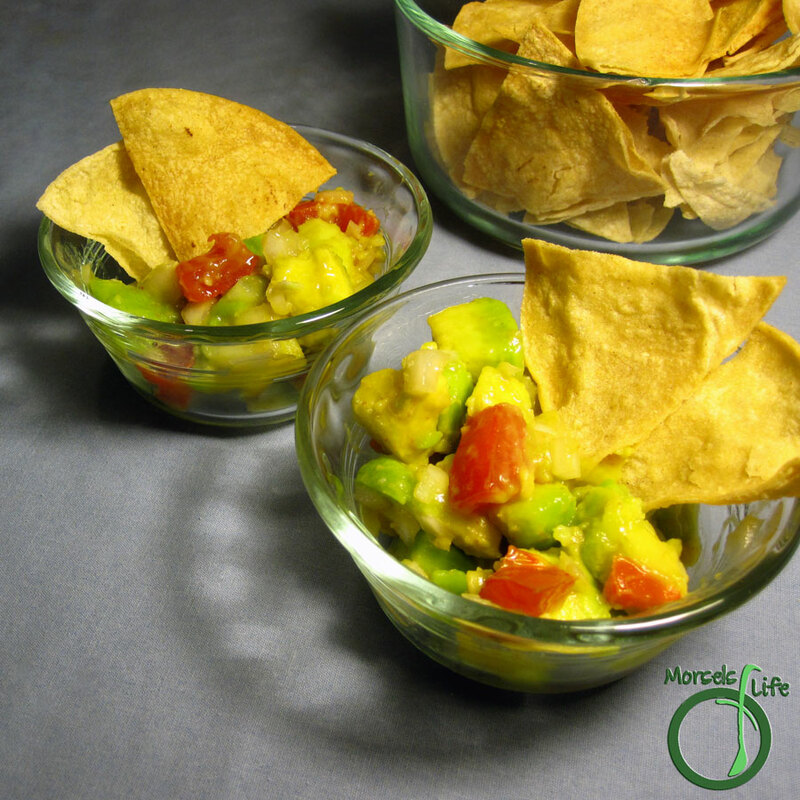 Avocados, mixed with onions and tomatoes, and kicked up with a bit of spice. First off, the only guacamole in this series with hot sauce. (The others use cayenne, serrano peppers, or nothing at all for heat.) I didn't have any of the recommended hot sauce, so I substituted Sriracha, a favorite around here. It's quite amazing for a chili paste flavored with garlic, salt, sugar, and vinegar, and it's even been featured on The Oatmeal. This guacamole is also the only one in this series without cilantro. Do you like cilantro in your guac? 1 teaspoon hot sauce I used Sriracha.